Removable Media Data Recovery Software is easy to use read-only utility to recover all your corrupted, damaged files or folders from the removable storage media devices. User can recover music, digital files and video images which are inaccessible by your computer using most efficient recovery software and services. This software ensures Data Retrieval in case of accidental deletion, formatting, virus attacks, improper shutdown or any other kind of failure to access your data. The flash drive recovery software regains all types of files like WAV, MPEG, MIDI, JPG, BMP, JPEG, GIF etc from your deleted, corrupted removable media with our online services. 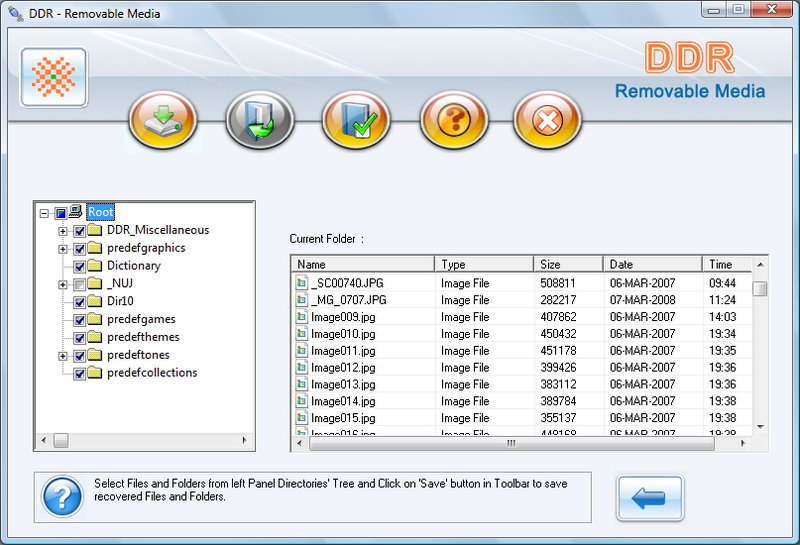 We can recover all deleted formatted missing photos pictures files audio video images etc. We provide software for compact flash memory card, smart media; secure digital card. Our removable media data recovery software provides best alternate solution to costly and time consuming removable media file repair services. Recovers your data from damaged removable media drives including smart media, compact flash, flash drives etc. Support all type digital media Brand which include Canon, Casio, Epson, HP, Kodak, Konica, Nikon, Samsung, Kingston, Sony, Super Talent, Toshiba, etc. The software supports Windows operating system with XP data recovery and Vista data recovery. Retrieves files even if error message ‘Drive not detected’ is displayed on your computer screen.